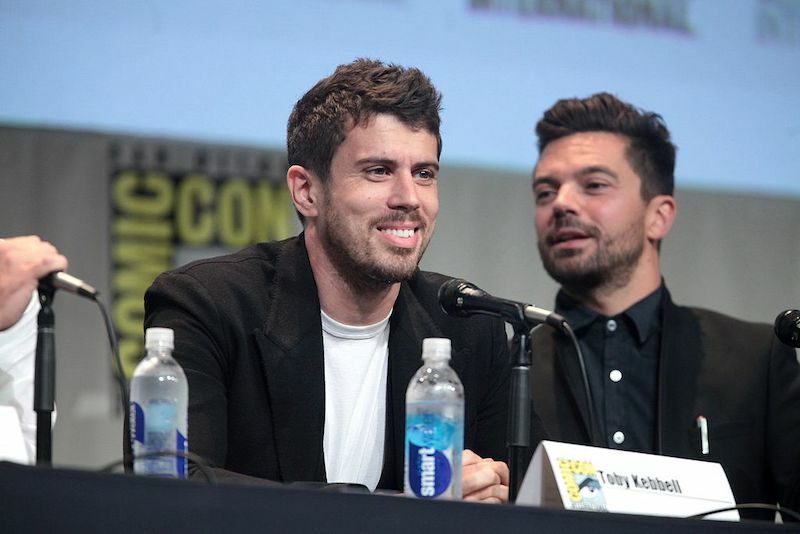 Actor Toby Kebbell has been hired as the lead character in Apple's upcoming psychological thriller series being created by M. Night Shyamalan and Tony Basgallop (via Deadline). Kebbell will star opposite Lauren Ambrose, who was cast in Apple's show back in August. M. Night Shyamalan's series is said to follow a young couple, Dorothy (Ambrose) and Sean Turner (Kebbell), who hire a nanny to help care for their newborn child. Also in the cast is Rupert Grint, who will play the younger brother of Ambrose's character. Kebbell is known for his role as Koba in the recent Planet of the Apes films, and he also appeared recently in A Monster Calls, Kong: Skull Island, and The Hurricane Heist. In 2011, he was the lead character in an episode of the first season of Black Mirror. The thriller series has received a straight-to-series order from Apple, and is believed to be 10 episodes long, and each episode will last for 30 minutes. Basgallop created the project and will write and executive produce the series, while Shyamalan will also produce and direct the first episode. In other casting news, Edward Burns has taken the lead role in Apple's Amazing Stories anthology reboot, which recently began production in Atlanta. Burns is set to play Bill Kaminski, a government agent, and will appear alongside Austin Stowell and Kerry Bishé. Amazing Stories "will transport the audience to worlds of wonder through the lens of today's most imaginative filmmakers, directors and writers," and the showrunners are Edward Kitsis and Adam Horowitz, the creators of Once Upon A Time. Apple is partnering with Steven Spielberg's Amblin Television to create the show. For a deep dive into every original TV show we know that's coming from Apple, head to our Apple TV Roundup. When was the last good M Night Shamadingdong flick/series? Hoping this doesn’t disappoint, but really most of his stuff has been financially decent but has won multiple raspberry awards. Consontrating on what you do well and continuing to innovate is better in my opinion than reaching for more just to expand your brand. By relying on this strategy Nokia and many others lost their market leadership lately. Unfortunately, I find this type of news incredibly boring. None of these programs are even available now.